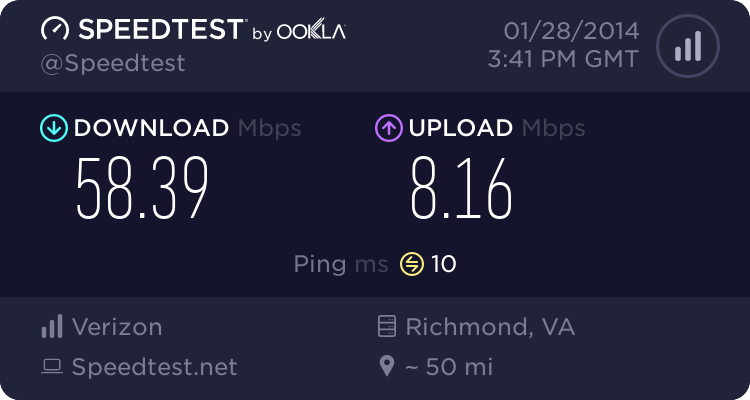 Why the drastic difference in upload speed when AM is enabled? Your real world upload speed is unaffected. only the test is impacted for you. Jeff wrote: Your real world upload speed is unaffected. Thank you Jeff, I'm happy to hear that. Which security products are you using btw? 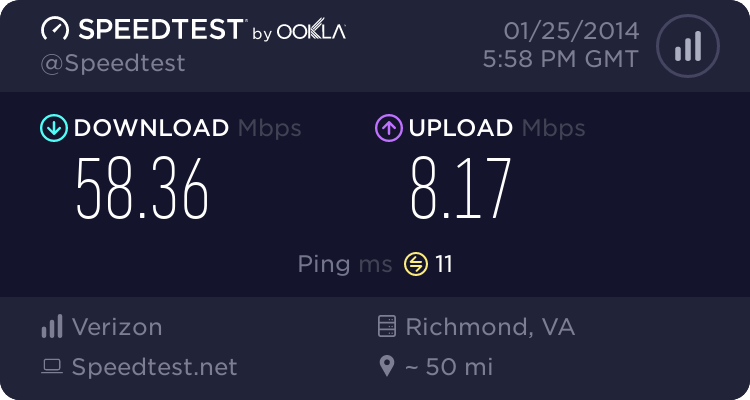 I was noticing the difference in upload speed running Webroot SecureAnywhere while AM was enabled. I also tried AM running NIS-2014 (shown in first post) with AM enabled. When AM is shut off upload speed is in the 30's. 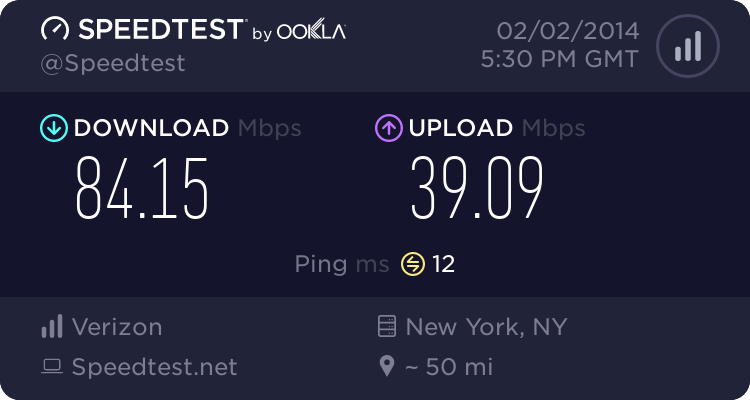 Also tested with Verizon Speed Test and results similar. What about when you disable all other 3rd party security apps? Again, that test is not real world. I must say I too get these differences too, when I check my speed. I have no other software installed that in could interfere with network or system. Like to keep it clean! 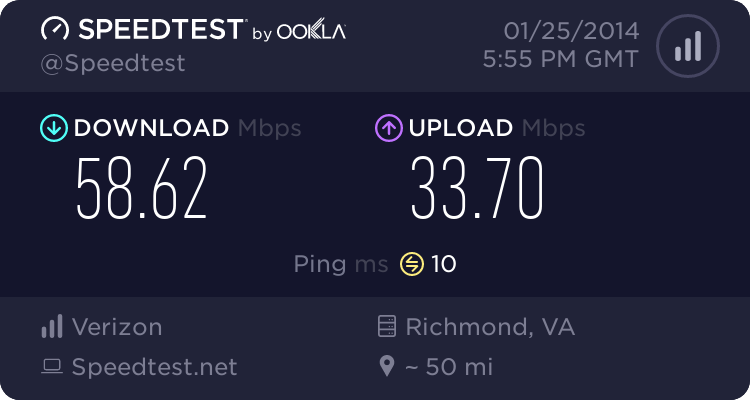 And no program is hogging network bandwidth during tests. Using latest Chrome stable build (Version 32.0.1700.102 m), and Windows 7 x64 ultimate. I asked my brother too, and he got similar differences. is there a way to test for real, to see if it's just regarding these online tests? the real test is using your browser and the internet. Jeff wrote: Again, that test is not real world. Plan is 75/35. I could post test result with filtering off but they're identical. WOW! With that speed snail mail would be faster than when you send a email. 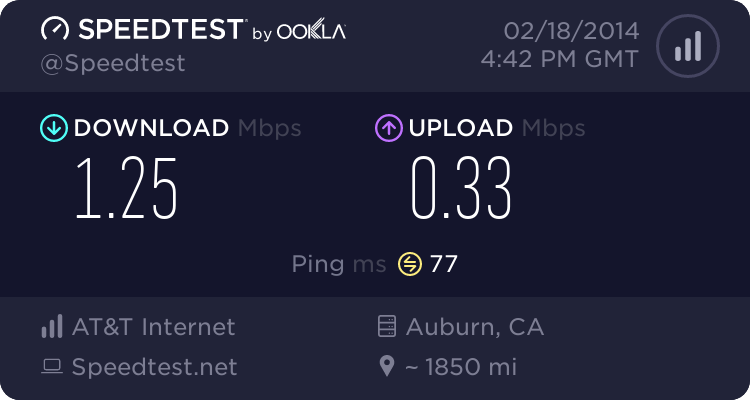 I'm paying $55.00 a month for 50/25.